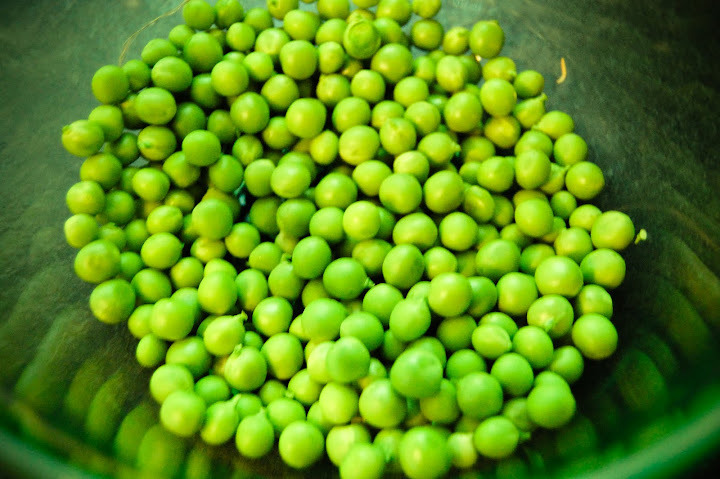 I can’t lie – I literally had NO idea how much work it takes to make one bag of the frozen peas that we eat like water around here. 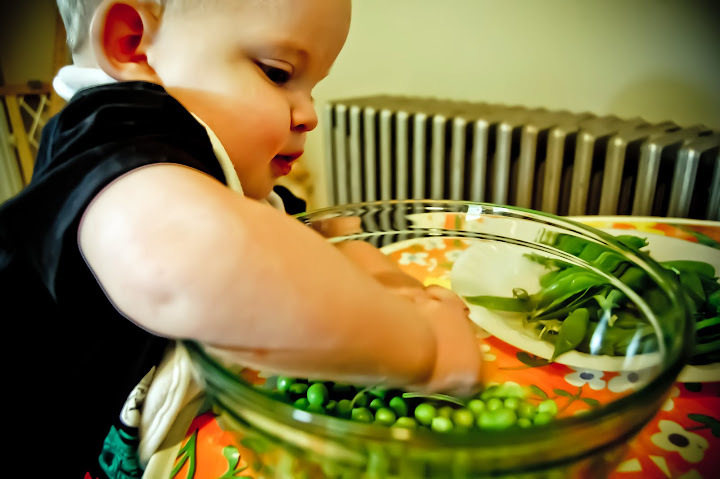 I got some peas to hull at market yesterday thinking it would this lovely time for Mia and I to do them together, then eat them or make something. Yeah, she had absolutely no interest. She did two(maybe? ), then ran off to play. Nick, however, couldn’t get enough. He loves playing with them, feeling them, eating them and throwing them. Good times! Those are such cute pictures! 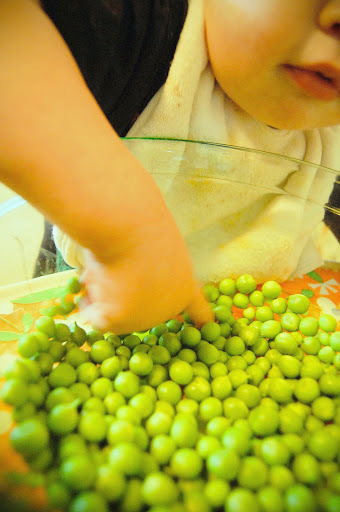 Yummmy peas! That looks like a lot of fun. How wonderful you include your kids! It is crazy how much work goes into eating. I think I enjoy it so much better when I work for it a bit– and the kids so love helping! !